Nothing beats a cool, creamy popsicle on a sweltering hot summer’s day! 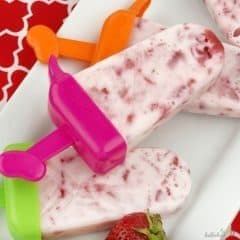 Made with just two ingredients, these Strawberry Vanilla Yogurt Popsicles are incredibly rich and tasty, and they’re easy to make, too. Best of all, they’re healthy! Hi, it’s Alaina from Bullock’s Buzz. Although it’s not officially summer, here in Alabama temperatures have already reached the upper 90’s, and the humidity makes it seem even hotter. 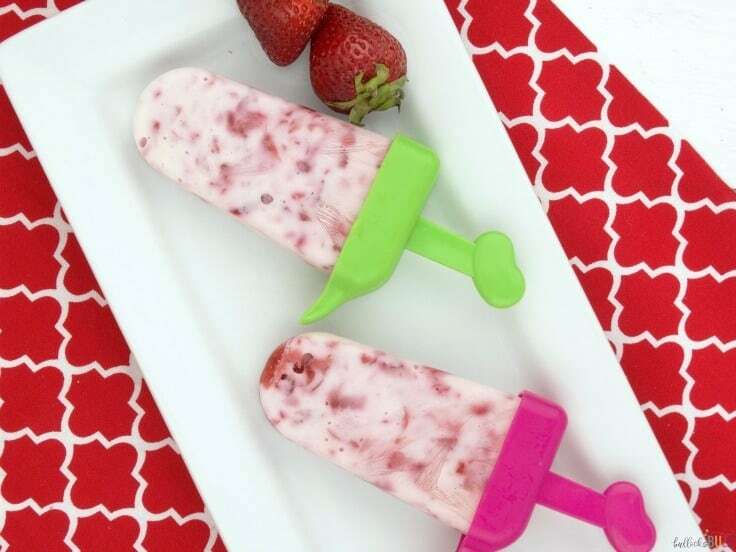 Plus, since June is National Fresh Fruit and Vegetable Month, I figured there’s no better time to share this amazingly delicious recipe for homemade Strawberry Vanilla Yogurt Popsicles! 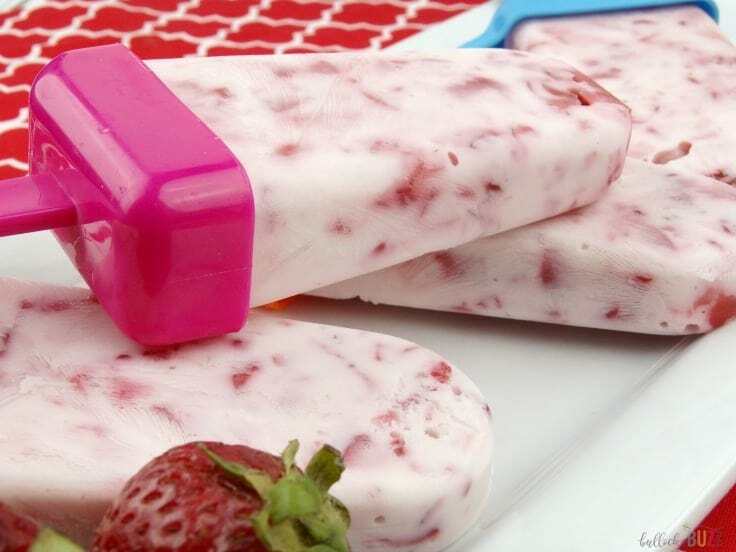 These Strawberry Vanilla Yogurt Popsicles are just the thing to cool off on a hot summer’s day. The naturally fruity flavor of fresh strawberries combines with the sweet tanginess of vanilla Greek yogurt to provide a simple treat that’s so easy to make even the kids can help! 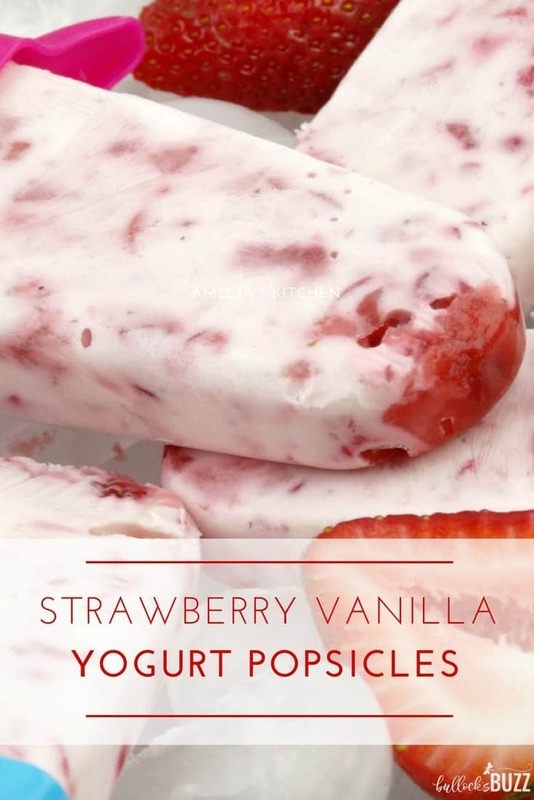 Although I love using strawberries, these yogurt popsicles taste great with any kind of fresh fruit. I’ve made them with blueberries, raspberries, cherries and even pineapple. Yum! 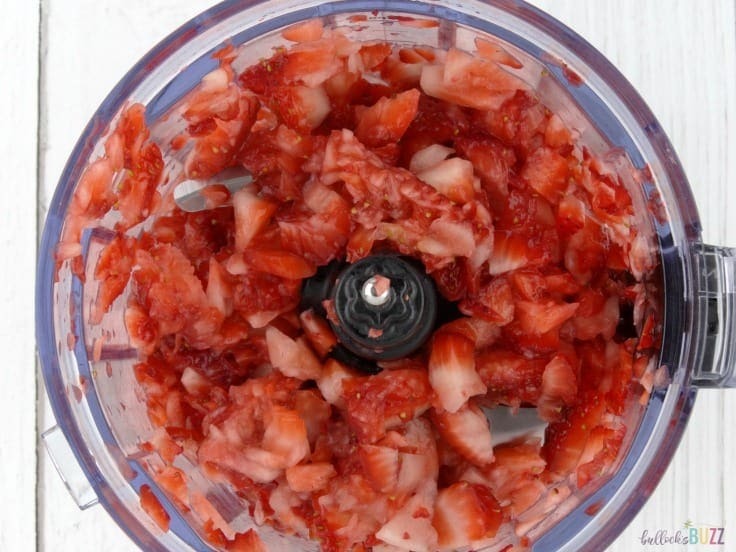 Place the rinsed and hulled strawberries in the bowl of a food processor, cover and pulse one or two times - or use a fork or potato masher to mash strawberries until only small pieces remain. Place the vanilla Greek yogurt in a large bowl. Pour the strawberries over the yogurt and gently fold them into the yogurt. 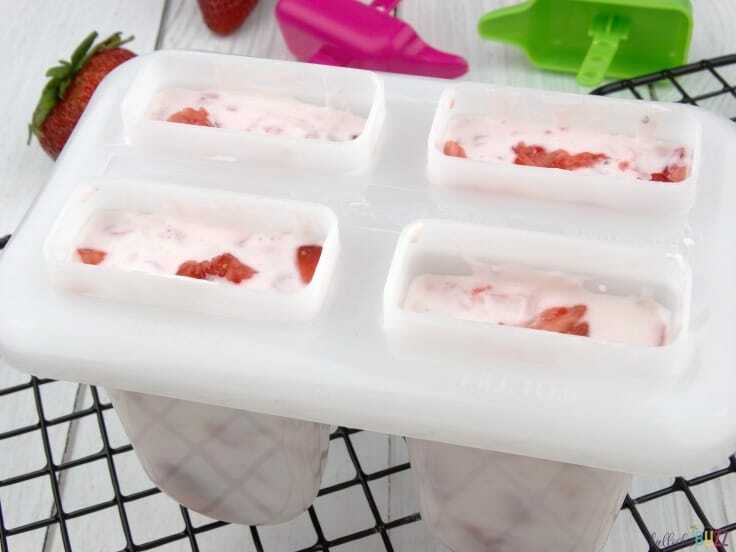 Carefully spoon the yogurt mixture into popsicle molds and freeze until completely solid and set. To remove from molds run under warm water for a few seconds. To get started, rinse and hull the fresh strawberries. Then, place them in a food processor, cover and pulse just two or three times. The goal is to get small chunks of strawberries with only a few larger pieces remaining. If you don’t have a food processor you can always use a potato masher or even a fork. 2. Mix strawberries and yogurt. Next, place the vanilla Greek yogurt in a large bowl. 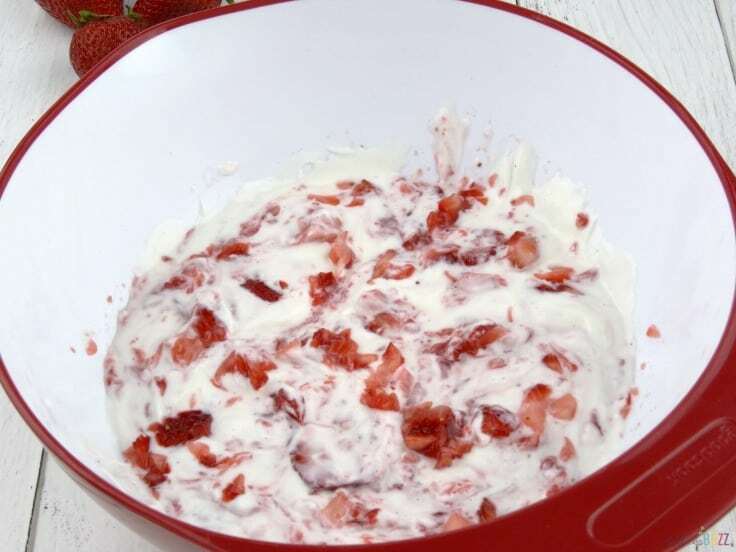 Pour the strawberries over the yogurt and gently fold them into the yogurt. If your strawberries are not very sweet yet, you can always add a little sugar or a couple of tablespoons of honey at this point. 3. Fill the popsicle molds. 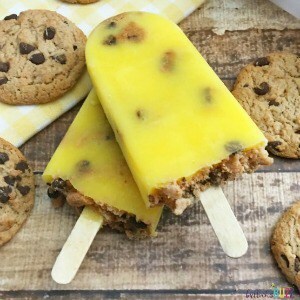 Now carefully spoon the mixture into the popsicle molds, then place them in the freezer until they are completely solid and set. This can take anywhere from 4 to 6 hours depending on how firm you want your yogurt popsicles. Once the popsicles are frozen, run the molds under warm water for just a few seconds to help unmold without breaking. Now all that’s left to do is enjoy! These fruity yogurt pops not only taste wonderful as an afternoon snack, they also make a great breakfast treat, too. 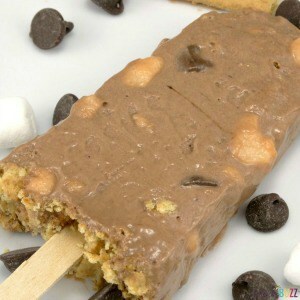 In fact, they are so good, I highly recommend keeping a batch in your freezer at all times. 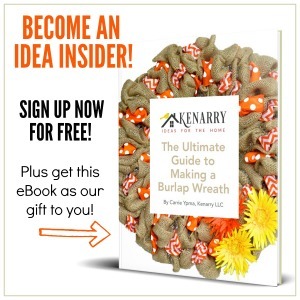 They are exactly what you need to survive the sweltering hot days of summer. 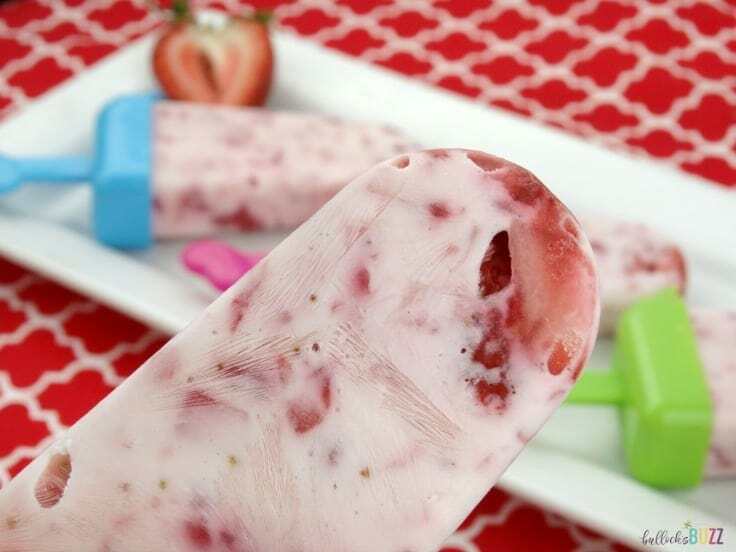 If you like these Strawberry Vanilla Yogurt Popsicles, then you will love my other popsicle recipes on Bullock’s Buzz!